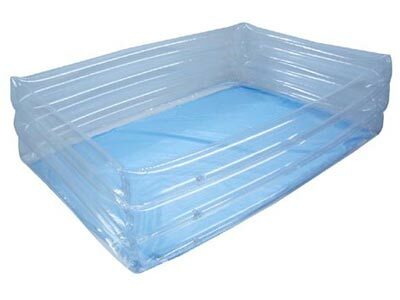 This vinyl pool is ideal for setting up your own kingyo sukui game. The size is suitable for about 6 or 7 people to take part at the same time. Size: 100cm x 70m x 25cm deep. This vinyl pool is ideal for setting up your own kingyo sukui game. The size is suitable for about 6 or 7 people to take part at the same time. With a light blue base, it creates just the right marine atmosphere. Material does not include benzene/phthalic acid and is safe for children. Size: 100cm x 70cm x 25cm deep.